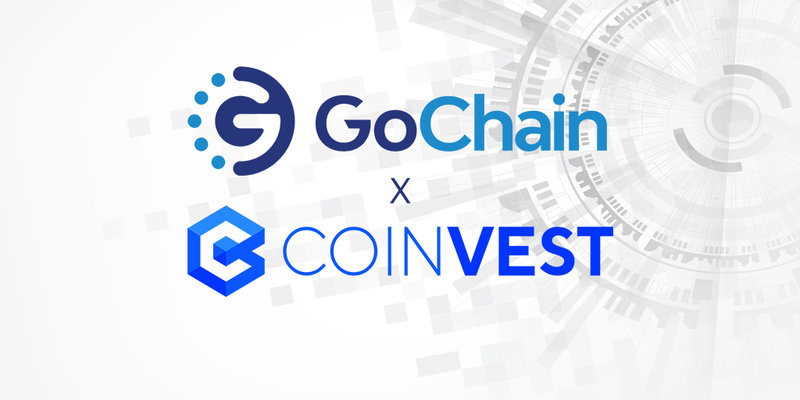 We are pleased to announce that GoChain is now part of the Coinvest Plus exchange. GO is now listed as $GO at https://plus.coinve.st/trading/gobtc and is open for trades and withdrawals. Coinvest is a newly launched exchange led by experienced Microsoft alumni and prominent advisors Tony Scott, former CIO of the US Government, VMWare, and Microsoft as well as Pete Cashmore, ex-founder of Mashable, and Alex Mashinsky, founder and CEO of Celsius and inventor of VOIP. Coinvest is one of the few blockchain companies in the world registered with the United States SEC, FINRA and FinCEN. Coinvest Plus exchange offers an affordable flat-rate trading fee of only $0.99 for all trades and withdrawals and we are excited with this new opportunity to expand our liquidity. This addition represents our commitment to align and launch with a reliable, secure, affordable echange. Most of all, as a company known for its compliance and transparency, we are happy to be a part of their mission to democratize cryptocurrencies and bring them to the masses. Coinvest is a blockchain technology company focused on developing solutions to democratize cryptocurrencies and bring them to the masses. The company’s mission is to create decentralized tools for the world to seamlessly and securely invest and use cryptocurrencies. Coinvest is lead by a team of Microsoft alumni and prominent advisors Tony Scott, former CIO of the US Government, VMWare, and Microsoft as well as Pete Cashmore, founder of Mashable. Coinvest is one of the few blockchain companies in the world registered with the United States SEC, FINRA and FinCEN. For more information about Coinvest, please visit: https://coinve.st.